Nearby Now is the exciting new way for contractors to extend their local reach, and be discovered by customers who urgently need their services. 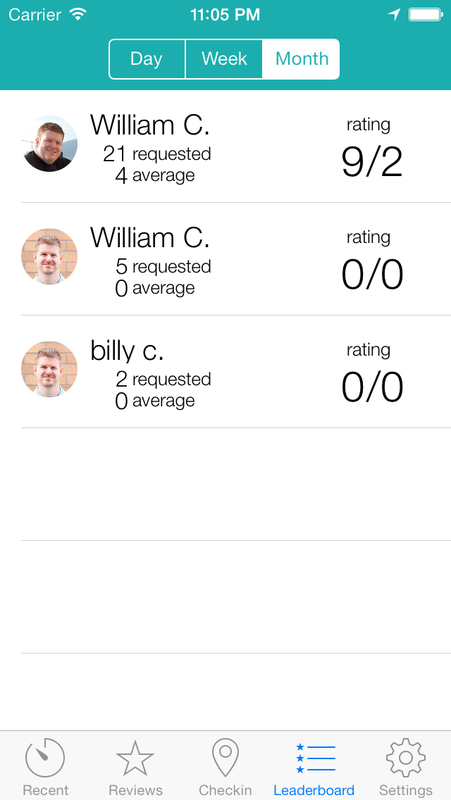 The Nearby Now app makes checking-in to job locations simple. New customers who need your services can see that you’re working nearby, and also that you frequently work in their neighborhood. When viewing the check-in map, the location indicator will give you a visual indication of where the device GPS has located you. Simply tap the Check-in button and you will be checked-in to that location and that check-in will appear on the nearby network maps. Your frequent visits to a customer's neighborhood automatically builds social proof that you're a reputable company who is already trusted by their neighbors. 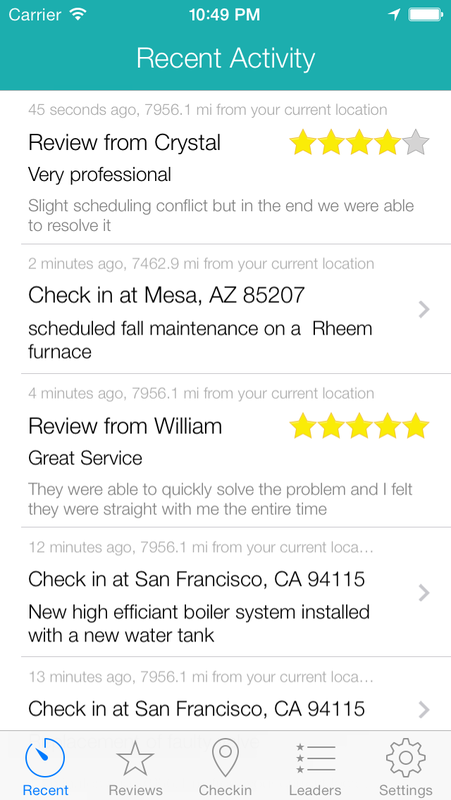 The Recent Check-ins view is a great way to review your day and follow up with customers. 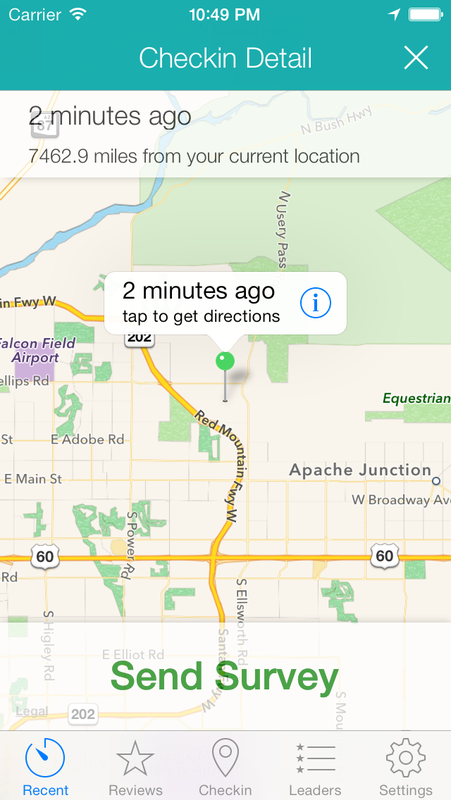 The view shows the distance from your check-in to your current location and an indicator as to which direction that check-in was. Easy access to your recent check-ins and customer review responses. Upon completion of a check-in, or by tapping an existing check-in, you can view the location details. From here you can send an SMS or Email survey request to the customer. 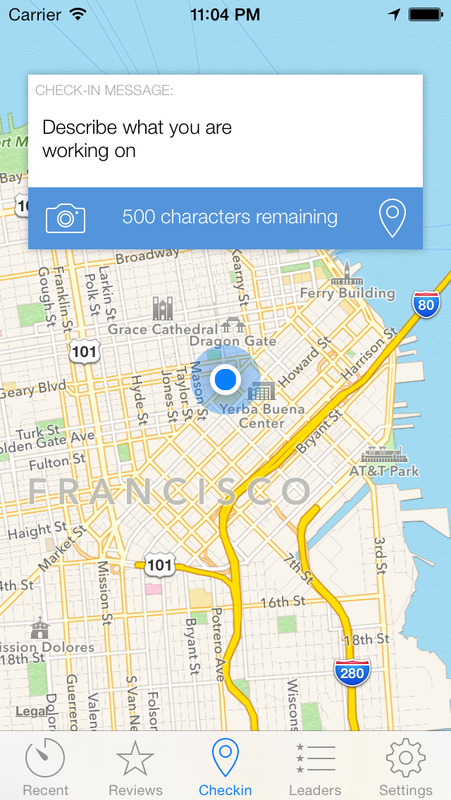 The customer's response to the survey shows up on the Nearby Now Maps along with your check-in. Simple for your staff to use no matter what type of device they carry. We will have your account ready in just a few minutes.